Our proven system will increase your reach AND website traffic with more views and link clicks through Facebook Advertising. Your business will receive more website visitors and leads at just a fraction of the cost of traditional Pay-Per-Click advertising. We guarantee it! Our professionals will use Facebook’s powerful audience selection tools to target the people that are right for your business. 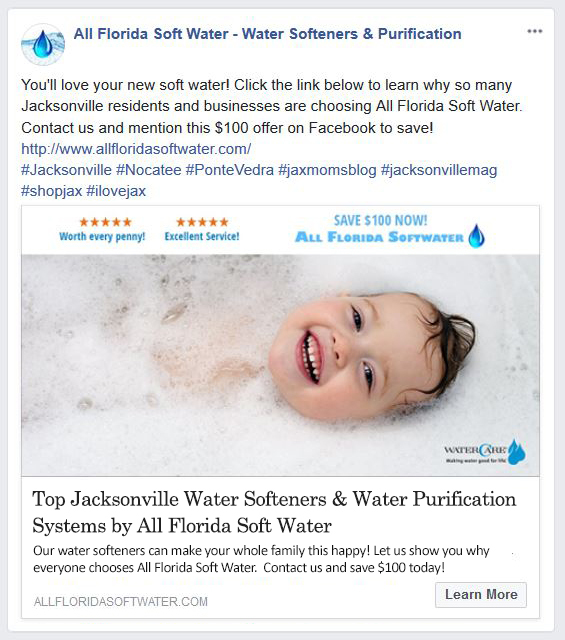 Each ad is created with your audience in mind and includes a custom image, link text & post text, as well as hashtags to increase visibility of your ads. Partnering with Launchpost Media is limited by business type in each region. Let’s get started today! Connecting with the right audience for your business begins with targeting Location, Demographics, Interests, and Behavior. We can also create Custom audiences by targeting or excluding your current customers, or people who already like your Facebook Page. We continually test messaging and audience to find the combinations that work best for your business, and each month you’ll receive a report showing the number of Views, Link Clicks, Likes/Shares, and demographic information from our Facebook ads campaign. 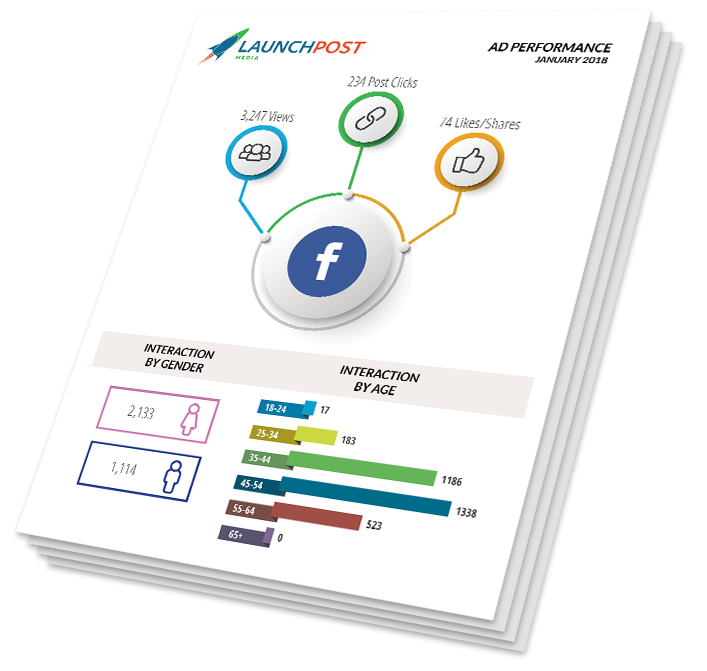 You’ll quickly see that Launchpost Media generates outstanding visibility and drives more relevant traffic at a lower cost per acquisition than any other opportunity available.